Americana Slicing Hybrid Cucumber | Gurney's Seed & Nursery Co.
A traditional American-slicer type cucumber, Americana produces dark glossy green 8- to 10- in. cukes with non-bitter skin and a sweet, juicy interior. A vast improvement over older types such as Straight Eight and Early Spring Burpless, Americana's vigorous, healthy vines produce fantastic yields and hold up well to disease pressure. 60 DAYS. 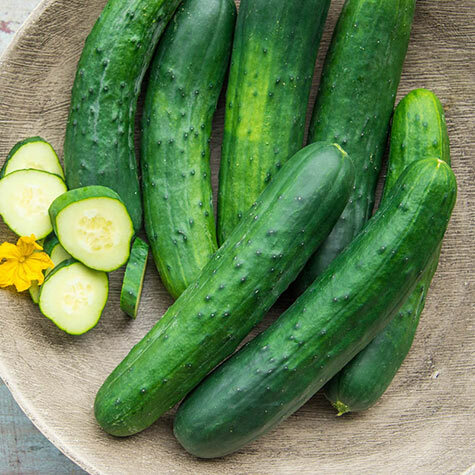 Did you know… Americana Hybrid Cucumber sports vigorous vines and stands up to disease, producing a superb cuke with a sweet interior. Fruit: Glossy, dark green cucumbers, 8-10 inches long. Days To Maturity: 60 days. 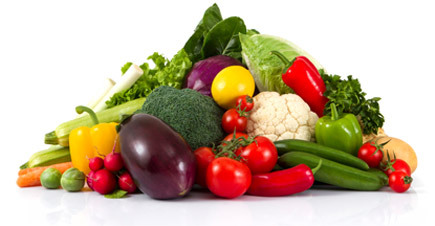 Soil Requirements: Fertile, sandy, loamy, well-drained soil with a pH of 7.0-7.8. Comments: A traditional American-slicer type cucumber, Americana produces dark glossy green 8- to 10- in. cukes with non-bitter skin and a sweet, juicy interior. A vast improvement over older types such as Straight Eight and Early Spring Burpless, Americana's vigorous, healthy vines produce fantastic yields and hold up well to disease pressure.